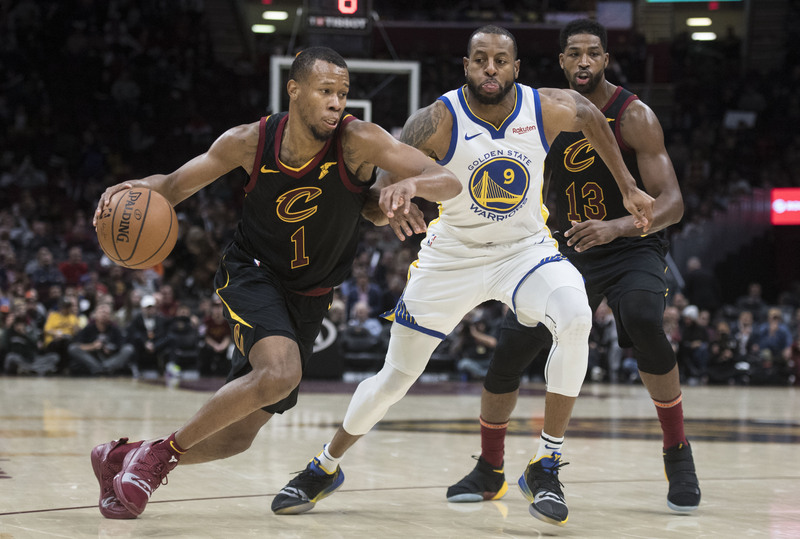 Per cleveland.com’s Chris Fedor, there are multiple playoff-contenders who have kept their eye on Cleveland Cavaliers swingman Rodney Hood. Hood, who’s averaging 12.2 points per game this season with a true shooting percentage of 54.2, has drawn interest from the Los Angeles Clippers, San Antonio Spurs and Golden State Warriors while teams like the Oklahoma City Thunder and Philadelphia 76ers are potential trade destinations as well. Multiple playoff contenders have checked in on the swingman. The Clippers sent scouts to home and away games last month. The Philadelphia 76ers, who will be without starter Wilson Chandler for 2-3 weeks because of a quad injury, make sense as a trade partner, but may not have the pieces. Prior to the Anthony Davis saga, the New Orleans Pelicans were interested in Hood. That would have been an appealing destination, according to a source. New Orleans, of course, isn’t considered a “buyer” anymore. The Oklahoma City Thunder are another team to watch, as they could need an extra wing with Andre Roberson’s return uncertain following a setback after left knee surgery. Only the Thunder may not have the assets to make a deal. The San Antonio Spurs have two first-rounders and sources said they’ve shown interest. Golden State Warriors are keeping an eye on Hood as well, according to sources. But that may be more in case Hood becomes a buyout candidate. Hood has the power to veto any trade he’s in because he signed a one-year qualifying offer the the Cavs in the 2018 offseason and, according to Fedor, the five-year pro will be picky when it comes to selecting his new team. That said, though Hood has expressed a desire to remain in Cleveland long-term, there are other organizations where he may be a better fit or more comfortable. With the Cavs, Hood was expected to be one of the team’s top scoring threats but the 26-year-old seems much more content with being a complimentary piece to an offense. Whether he starts or comes off the bench, he’ll take the approach of letting the game come to him more often than not and while that can be an endearing trait for a player on a playoff-team, it doesn’t have the same effect for a team averaging just 102.5 points per game (28th in the NBA) and holding the league’s worst win-loss record (11-42). On offense, he’s methodical but unconventional, lacking elite athleticism and burst but possessing enough length and natural shooting ability to create decent separation on his shots. A streaky shooter, Hood has only shot above 34.1 percent from three-point range in one month this season (November, when he knocked down 45.7 percent of his three-point attempts) while shooting 36.2 percent from three-point range this season. Nonetheless, with 13 games scoring 15+ points from the field (six games with 20+ points), Hood has an x-factor quality in that when he gets hot and in a rhythm, he’s hard to cool off. Combine his offensive play with improvements as a team defender, where’s he’s become a consistent communicator, is usually in the right position to make a defensive play and who has realized how to use his length to make plays in the passing lane and it’s no question why teams around the league see value in the 26-year-old. The NBA trade deadline is on February 7, at 3:00 P.M. EST.